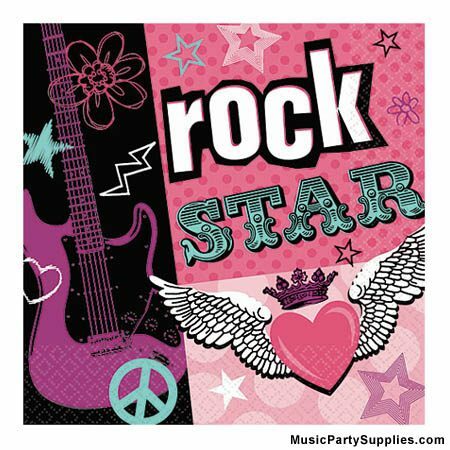 Rocker Girl Napkins – Beverage –Clearance! Make your party truly rock with some awesome music napkins! These Rocker Girl Napkins will add the right touch to any music event. The design is sharp and edgy with artistic design elements centering on a Rock music theme for girls! These Rocker Girl party napkins will complete any birthday girl’s music party. 2 Ply Paper Napkins. Made in USA. Approx. 5″ x 5″ (folded). Set of 16. Also, check out this style in the larger, Rocker Girl Luncheon Napkins!